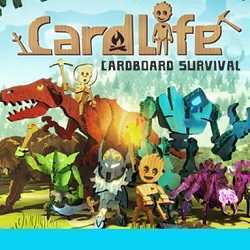 CardLife Cardboard Survival is an Action, Adventure and RPG game for PC published by Freejam in 2018. Mine for resources, fight fantastical creatures! Play by yourself or with others as you explore a fully editable cardboard world. Also, bring your imagination to life as you draw everything you craft.